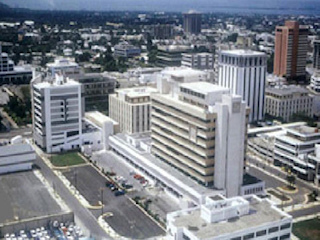 Located on the southeastern coast of the island, Kingston is the capital and the largest city of Jamaica. It is also the largest predominantly English speaking city south of the United States with a current population of 651,880. Kingston has a tropical climate, influenced by its coastal location. The climate is characterized by a relatively wet season from May to November each year- which coincides with the hurricane season, and a dry season from December to April. During the season with the lowest humidity, there is less rainfall, but there are other factors that influence the climate such as cold and stationery fronts. 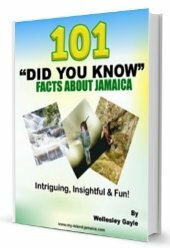 Since Kingston is situated in Jamaica and Jamaica lies in the hurricane belt of the Atlantic Ocean, it is affected by some hurricanes and storms. For example, Hurricane Charlie and Gilbert hit directly in 1951 and 1988 respectively causing major damage and deaths. The average temperature in Kingston is 27°C (81°F). The highest monthly average high temperature is 31°C (88°F) in June through to November while the lowest monthly average low temperature is 22°C (72°F) in January and February. The annual relative humidity is 74.8% and average monthly relative humidity ranges from 70% in August to 78% in October. Just in case you may be wondering what is relative humidity, let me explain: it is the ratio of the amount of water in the air at a given temperature to the maximum amount it could hold at that temperature expressed as a percentage. The average sunlight hours in Kingston, range between 7.4 hours per day in September and 8.9 hours per day in April. There is an average of 3002 hours of sunlight per year with an average of 8.2 hours of sunlight per day. The average rainfall was recorded in October at 181.1mm (71") and the lowest recorded in March at 22.7mm (.9"). Unlike other locations in Jamaica in the rainy season, Kingston is one of the places with the least amount of rains, and the most sunshine throughout the year!